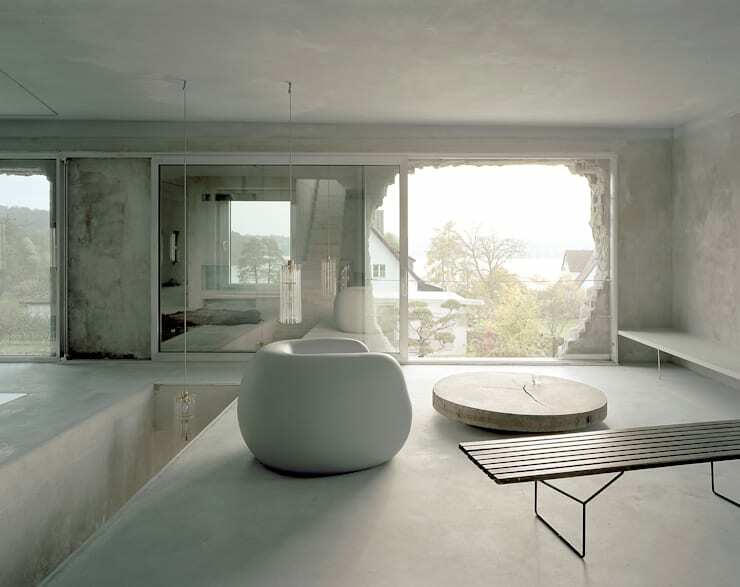 Architects, interior designers have creative types all have the ability to see the potential in abandoned buildings. This makes it easier for them to have a vision of what style, additions and features would make a difference in the décor, structure and design of the structure. The home we visit today is minimalist in form, detail and layout, but through some imaginative thinking, the home represents stylish and unique design elements. 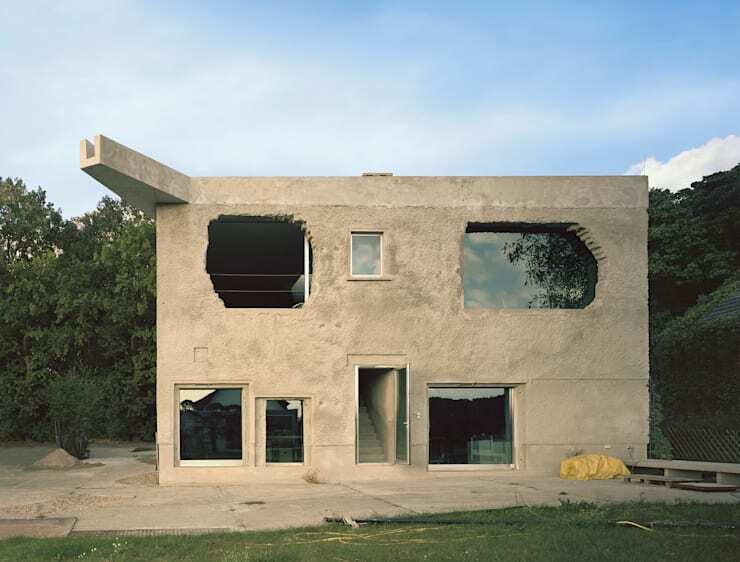 The exposed concrete walls may look unfinished to some, but the minimalist and unconventional character of this home makes this exterior the perfect modern setting. The raw style of the walls, along with the block design is different and unusual, but wait until you see the interior and completed design of this home. 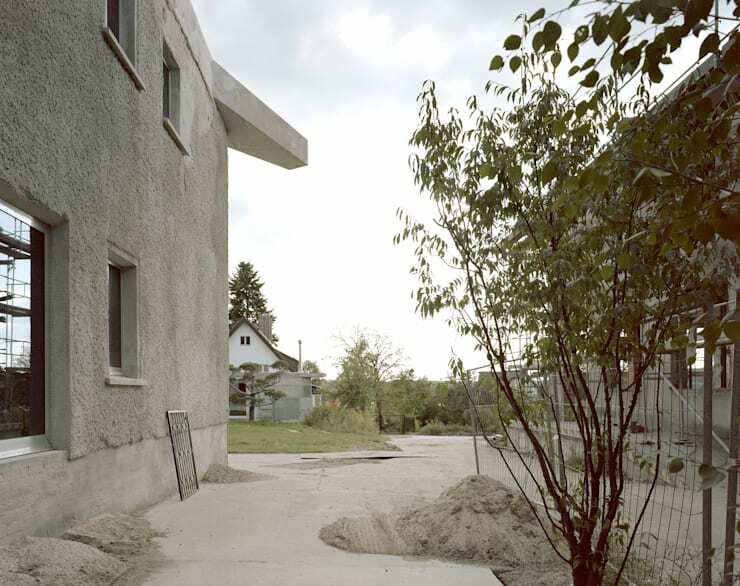 The architects considered the opinion of the artistic home owners in the detail and design of this simple house. The external walls of the building are covered in rough plaster which adds a unique texture to the wall. The exposed concrete element is seen from every angle, creating an almost futuristic home design that is enhanced by the flat roof and geometric style. The interior design of this home sees neutral colours and plenty of natural light incorporated into the design. The perfectly placed windows allow for fantastic views of the picturesque countryside. Although the concrete walls dominate the décor, the accompanying furniture is minimalist and simple, adding functionality to the space. 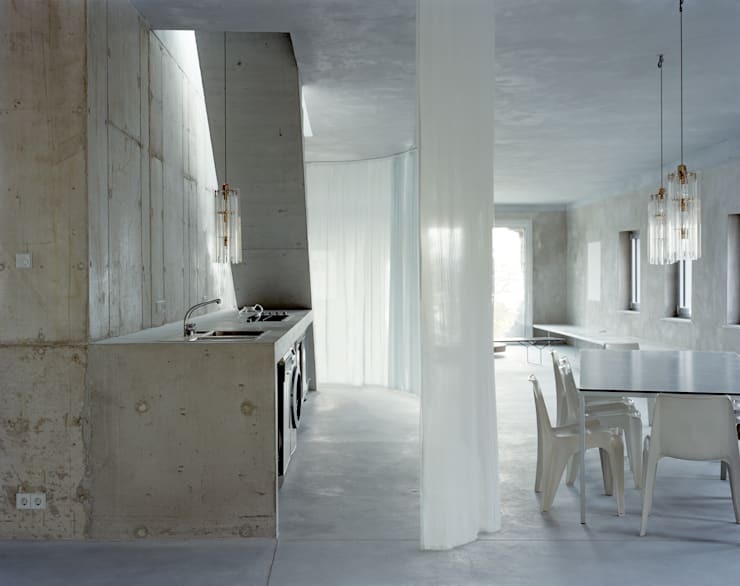 This home is delicate and subtle in every aspect of décor, even though it is dominated by exposed concrete throughout the interior. The open plan kitchen and dining room area is airy and bright with neutral shades and natural light creating a gorgeous and comfortable ambiance. The dining room area is decorated in white, adding an elegant and stylish character that is spacious and simple. 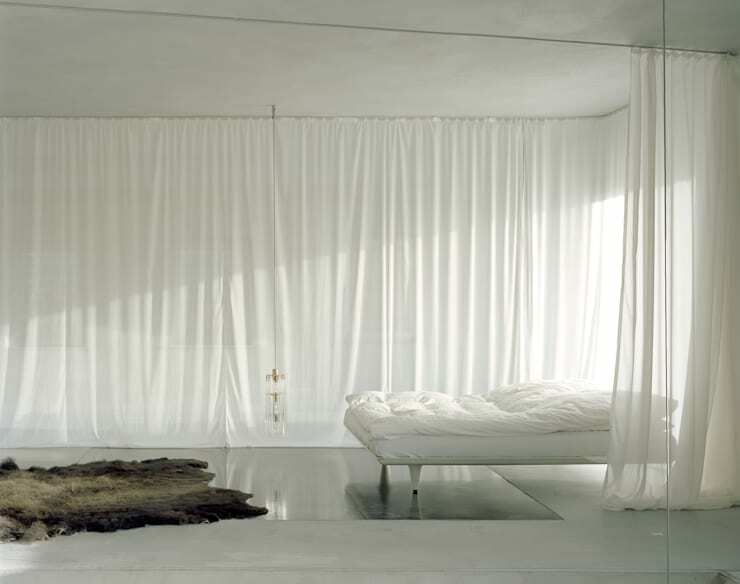 The bedroom of this home is unbelievably minimalist in décor, with flowing white curtains and bed linen creating a comfortable yet elegant decorative touch. The space is bright and airy, while natural light creates an appealing cosy element that makes this bedroom simply gorgeous. The brilliant bedroom has an aesthetically pleasing and eye-catching character that is emphasised by the concrete fireplace, this makes the bedroom cosy, charming and inviting, while also allowing the décor to coordinate perfectly with the exterior style of the house. Although this style has an industrial-like element, with some creativity it is nothing less than comfortable and gorgeous. If you enjoyed this ideabook, you should check out: A Beautiful But Humble Luxury Home. 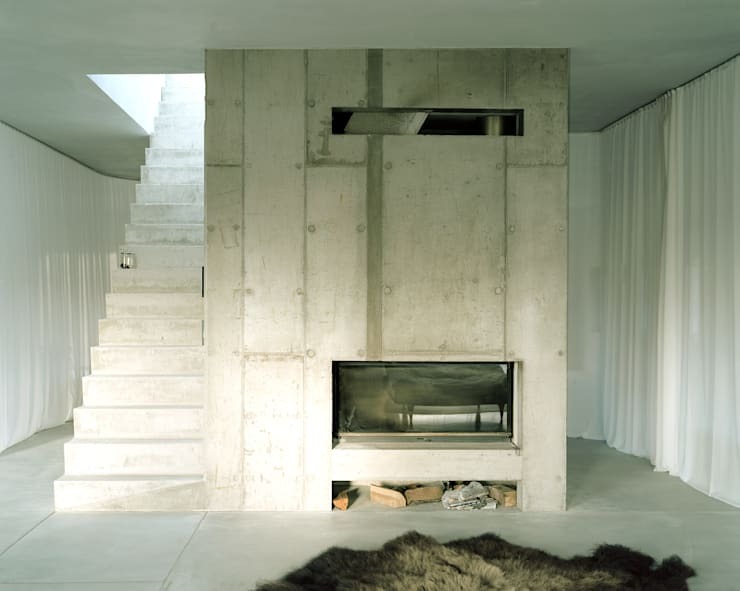 What did you think about exposed concrete style home?